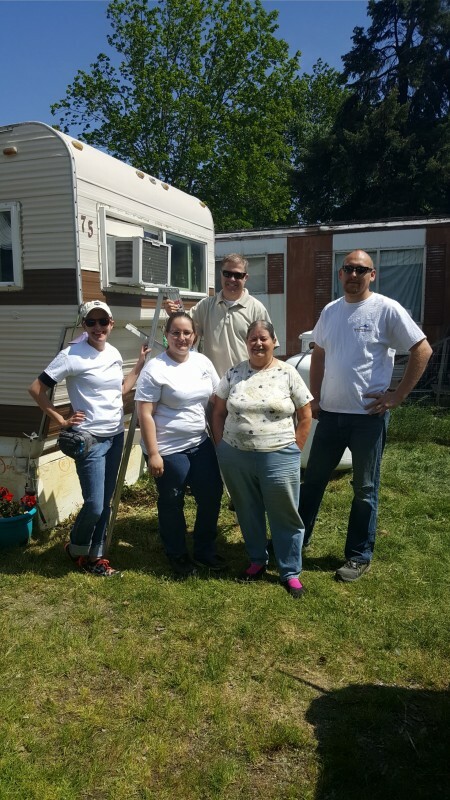 One of the core focuses here at Blue Dog RV Medford is community. The wonderful people of our community have supported us with enthusiasm and graciousness since our inception in 2008. Our goal has always been and remains stronger than ever to give back to our community that has so consistently embraced us and our continued growth. 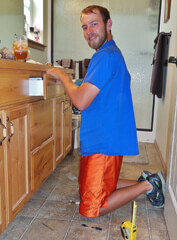 I live in a 8' x 36' 1972 mobile home by myself in Chateau Mobile Home Park in Post Falls. I moved into the lot space in September of 2014. 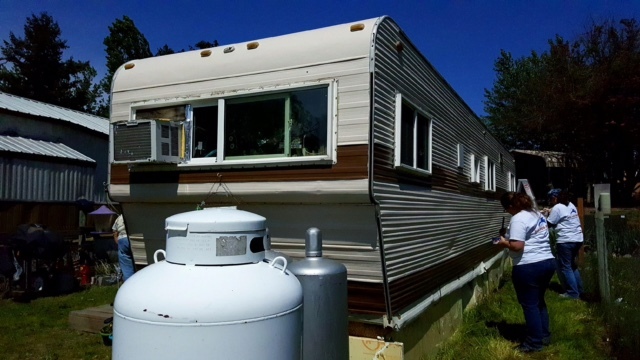 At the time of move in, the management company required me to paint the exterior of my mobile home as it has never been repainted and now has exposed aluminum siding. I have been unable to accomplish this task due to physical and financial imitations. I only receive $838 in disability payments per month which covers rent, transportation, food and regular medical bills. Over the past year and a half, the furnace needed to be repair, my truck broke down and unexpected medical bills had to be paid. I have no extra funds to paint my home and face the possibility of eviction. I would love to have my home painted the original colors of brown and white. Any assistance would be greatly appreciated. We recognize that there are members of our community that need special assistance in both small and sometimes larger ways. We have found that small efforts can often change people’s lives in huge ways! 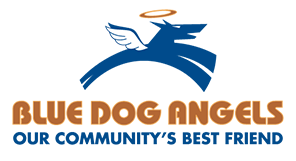 Our employees and ownership have come together to form a team called the Blue Dog Angels. The Angels consist of committee members, fundraisers, skilled labor and just plain good old fashioned volunteers willing to help wherever needed. Our goal is to raise funds to be able to purchase supplies to help those that need our help. 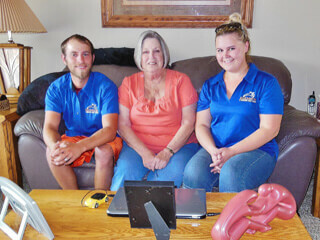 Blue Dog RV matches every dollar raised and donates that to the fund so that our efforts are duplicated! We then put together groups of volunteers to perform the work needed to meet the needs of those requests. 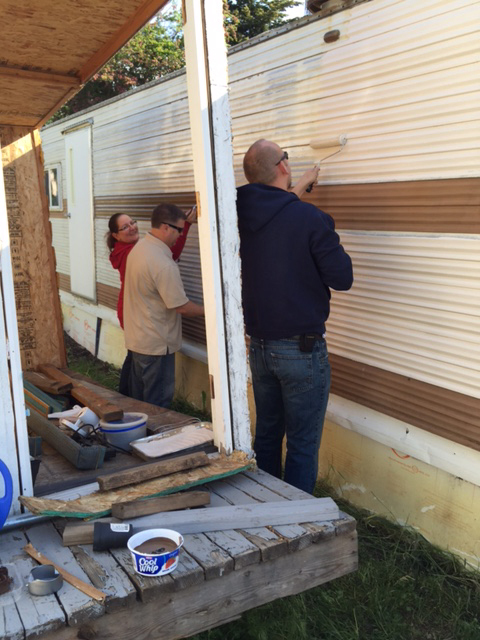 So far, our volunteers consist of employees selflessly volunteering their own time to help in the community. We welcome any one (employee, friends, family, neighbors, customers & community members) that wants to join our team of Angels in making a difference in the lives of others! Great Job Nichole and Matt! Your Angel mission made a difference! We have an application that is now available on our website (below) that can be filled out by the community member in need or someone else that requests assistance on their behalf. One of our committee members will contact each and every applicant within 30 days to review their request and let them know if and when their request can be met. We can’t help everyone but we can commit to helping one family at a time and making a change in as many lives as we can.